Miskolc, with population of about 180,000, is the third largest city in Hungary, located in the north-east of the country, east of Bükk mountains. Miskolc used to be one of the centres of heavy industry in 20th century. Today Miskolc is the regional centre of Northern Hungary. The city is surrounded by the beautiful Bükk Mountains. The most famous tourist attractions are outside the city, but one can find things worth visiting in downtown, too. A quiet suburb of Miskolctapolca, most famous for its cave bath, provides unique cave thermal spa. 1 Bánkút is a popular ski resort. 1 Tourist Information Centre (Tourinform Miskolc), Széchenyi Street (utca), 16, ☎ +36 46 350 425, e-mail: miskolc@tourinform.hu. M-F 08:30-17:00, Sa 09:00-14:00, Su closed. You can get some useful information here. The staff speak at least English, German, Russian, Slovakian. Services: All necessary information about Miskolc: tourism, transport, museums, spa, cultural programs, accommodation and catering, trade and services, hiking in the Bükk, sports, addresses, historic monuments, galleries, exhibitions, etc. Accommodation, booking. Entrance tickets for concerts, theatres and other cultural events. Several kinds of Miskolc sightseeing tours. Basic information brochures about Miskolc. You can buy Miskolc Pass Tourist Card here. Miskolc doesn't have an international airport; the nearest ones are in Košice (Slovakia), Budapest and Debrecen. Since Miskolc is well connected to the rest of the country by railway lines, there are fewer bus lines connecting Miskolc to other cities. Price list, Lines, some of them to Debrecen 05:30-20:00, 20 per day, to Eger 05:00-18:00, hourly, to Hajdúböszörmény 05:35-20:00, 12 per day, Kazincbarcika 5:30-22:00 every half hour, Mezőkövesd 05:00-18:40, hourly; Szerencs every 2 hours, 06:00-18:40; Tiszaújváros every half hour; Hódmezővásárhely, Nyíregyháza, Salgótarján, Sátoraljaújhely, Szeged one morning, one afternoon; Kecskemét and Szolnok daily. 1 Bus Station (Borsod Volán Autóbusz-állomás Miskolc), Búza tér (east of the city centre. ), ☎ +36 46 340 288, e-mail: kulonjarat@borsodvolan.hu. Waiting room: daily 04:00-24:00, ticket office: M-F 05:30-18:00, Sa 5:30-13:00. The trains going through Northern Hungary all stop in Miskolc, the city can be reached by train from all the major cities (although if you come from the Transdanubian region, you might have to change trains in Budapest which means you have to find your way through the city to the Keleti station.) See the website of Hungary State Railways for information on trains, travel time and prices. The site is available in Hungarian, English and German (this link leads to the English version. International connection to Košice, in Slovakia (daily, one morning and one evening train, 3.5 hr, discounted RW tickets for €6.5) International travel tickets, seat reservation, travel card can be paid in euros. The returning will be paid in forints. 3 Train Ticket Office (Miskolc Menetjegyiroda Belföldi pénztár), Arany János u 2 (Close to Szinva Creek and Falánk Fanny Pastry Shop). M-F 07:10-18:40, Sa 07:10-14:40. Automated ticketing, payment also with credit card. Miskolc can be reached from the West on Highway M3, which recently reached the city. The highway connecting Miskolc with Debrecen has also been finished. You have to pay a toll/fee if you want to drive on a highway, which consists of going into any gas or petrol station and purchasing a sticker for your car windshield before you drive on the road. If you come by car you may expect some trouble with navigation. There is really only one way to get into the village, and it goes through Miskolc, which is not famous for having good road signs. If you are very careful and have at least 2 spare eyes to read the signs, you may well succeed. Or simply ask locals for directions if you feel lost. 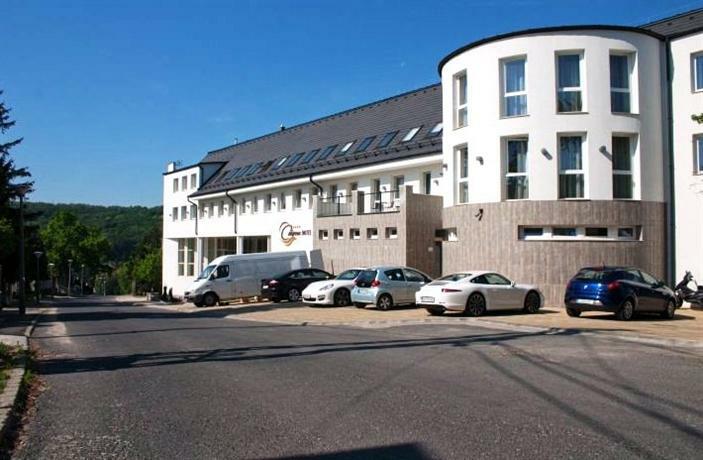 The spa is about 5 km (3 miles) south of Miskolc city center, west of the main road. Bus 15 also starts from Felső-Majláth and goes to Ómassa. You can buy bus tickets on the station (or on the bus for a somewhat bigger price and the driver won't have change, you have to pay the exact amount. Generally it's not recommended), also can buy bus tickets at news stands. Bus tickets are Ft 300 (or Ft 400 if you buy it on the bus), ten tickets ("gyűjtőjegy") are Ft 2800 (Feb 2017). You can buy Miskolc Pass Tourist Card online or at the hotels. If you have you can travel for free on local buses and trams, and one time on the forest train. Tickets are the same for bus and tram. General & tourist tickets are not valid on Bus 7 after it leaves Miskolc (Bus 7 is the only city bus that leaves Miskolc; it goes to the nearby town Felsőzsolca.) Penalty if you don't have valid ticket: Ft 3000 if you pay immediately, Ft 6000 if you don't have money with you and have to pay later. Buses usually open the first door only because it is part of the driver's job to check if everyone has tickets. They open the other doors only if someone wants to leave the bus at that door, and if you get on the bus through those doors, the driver might ask you through the loudspeaker to show your ticket. There are only two tram lines, 1 & 2. The end station to both of them is at Tiszai station. Tram line 1 goes to Felső-Majláth. Tram no.1 is the good one to reach the castle of Diosgyor, take off when you can see it on your left hand side. Tram line 2 goes to the metal factory. Be sure to leave Tram 2 at latest at Újgyőri főtér' and change trams if you want to go to Diósgyőr. These trains run between 4 Miskolc-Dorottya utca narrow-gauge railway station and Lillafüred (in 10 km away from Miskolc) with open carriages, 40 min. Inside Miskolc it makes a few more stops, including the one close by to castle of Diosgyor. After Lillafüred it then continues its way up to Garadna village, takes another 20 min. Daily 10:00 - 19:00. Fixed price 800 Ft no matter how far you go. Foreigners sometimes find it hard to find their way in the city. City maps are sold in every bookstore and at some newsstands. There are some road signs, but not too many. In the individual parts of the city parking areas are divided to designated parking zones. The maximum parking time in Green/Yellow/Blue zone: 2/3/4 hours the fees are Ft 340/220/150 per hour. There is two underground car park is at Patak Street and at Európa Square (charge Ft 200 per hour, 2014). Moving around by taxi in Miskolc is an easy way to explore the city or get to your destination. Cabs are not hard to find, especially in the downtown area or around the busy tourist attractions. Prices vary by company, but they average US$1.50-2.00 per km and the basic fee of $1.50-2.00 per ride. Most dispatchers should speak English or German and possibly French, in addition to Hungarian. Probably the best way to see the spa is on foot. This is recommended for the downtown only. Many of the tourist attractions are quite far from the city centre. Széchenyi Street is mostly a pedestrian precinct, the tram lines go along it, but cars use it only occasionally. 2 Mindszent Parish Church (officially:Apostles St. Peter and St. Paul Church, Hungarian: Mindszenti Plébániatemplom), Mindszent tér 2, ☎ +36 46 411777, +36 46 411 888, fax: +36 46 411114, e-mail: mindszenti.plebania@gmail.com. Guide by booking. Masses: Su and major holidays 07:00, 08:30, 10:00, 11:30, 18:30, M-F 07:00, 7:30, 18:30. Mindszent was a separate small settlement in the Middle Age, around 1880 united with Miskolc. The church was built on site of a smaller medieval chapel between 1728-1743. The two slender tower of its got in hundred years later. Inside of the church there are beautiful Baroque paintings and statues. Its altarpieces depicting St Peter and St Paul (at the high altar), the Virgin Mary, St Joseph, St Ladislaw, St Stephen paintings were done in 1855 and 1879. The Baroque statue of Mary with the jar (1739) stands before the church. A small Calvary shrine can be found not far from the church; it was consecrated by the Archbishop of Eger in 1864. Free. 3 Protestant Church of Avas (Hungarian: Avasi templom), Papszer utca 14 (Southwest half km from Tourist Information Centre I. over Szinva Creek), ☎ +36 46 358677. M-F 14:00-17:00. A beautiful Gothic church on the Avas hill, one of the oldest buildings of the city, founded in 13th century. A Romanesque style church, and later it was expanded in Gothic style. The belfry was built in 1557. The bells play a melody in every 15 minutes, a variation of the Westminster Chimes. It is a well-known tune in the city. The church is surrounded by a cemetery, where many famous sons of the city were buried. 4 Greek Orthodox church (Holy Trinity Greek Orthodox Church, Hungarian:Görögkeleti templom, Magyar ortodox templom, Szentháromság Görögkeleti Ortodox Templom), Deák Ferenc tér 7 (Center, northwest of the Minorita Assumption Church), e-mail: pappmiskolc@gmail.com. Built between 1785 and 1806 in Copf style. Here is one of the largest iconostasion in Europe, 16 m high, with 87 pictures of the life of Jesus, and the eleven big orthodox holiday plus Easter what is the Ortodox 'Holiday of holidays'. The Baroque iconostasis was carved in the workshop of Eger, the pictures (with the exception of four of them) were painted by a master from Vienna. The copy of the Akhtyrka Icon of the Mother of God was a gift from Empress Catherine II of Russia. A school, a hospital and a parsonage were also built next to the church in the beginning of 18th Century. The churchyard also served as a burial place, several more than 300 years old marble tombstones are still can be see. The interior is divided into three parts: entrance hall, naos, and sanctuary. The Orthodox Liturgical Museum of Hungary is here, in the former school building (approaching from the churchyard). The Orthodox liturgical collection of its is the richest in all Hungary. 5 Protestant Wooden Church (Plank church, Hungarian:Tetemvári Református deszkatemplom, Deszkatemplom), Pálóczy utca, ☎ +36 46 506613, +36 30 4077496, e-mail: tetemvar@hotmail.com. Every day 09:00-12:00 and 13:00-16:00. This is a beautiful church made of carved wood built in 1998 as the exact copy of the original church that was burnt down in 1997.The first church known by the name of 'Wooden Church' was built in 1724 and it stood until 1937 when demolished. One year later finished the new one. At this time the wood brought from an area of Transylvania with long traditions of wood-carving. The design of the church also had Transylvanian elements. Originally main wing of Wooden Church was 8.5m wide, the south part was only 7-7.4m wide. On the top of the pulpit is a Phoenix wood sculpture, symbolized the eternal rebirth. The windows of the eastern and western side decorated with stained glass. The larger bell called 'Odon' is 360kg, the smaller, 'Alexander', 193kg. Ft 400/250, German, Hungarian guide. 6 Minorita Assumption Church (Hungarian: Minorita Nagyboldogasszony templom), Hősök tere 5a (Downtown), ☎ +36 46 505636, +36 46 508048, fax: +36 46 505637. Booking by phone. The construction of this baroque church was finished around 1743 though its decoration, equipment and the building of the towers took several more decades. free. 7 Downtown Protestant Church, Rooster church (Hungarian: Miskolc-Belvárosi Református temploma, Kakas templom), Kossuth Lajos utca 17 (West two hundred meter from Minorita Assumption Church), ☎ +36 46 412653, +36 46 508724, fax: +36 46 508884, e-mail: szaboslp@freemail.hu. Description: The classicistic calvinist church was erected in 1786-1808. It has the highest 68m tall tower in the city, housing the 2.6-tonne weight Esther Bell named after Eszter Bató daughter of a wealthy merchant family. Outside decorated mostly with Classicist elements Admission: free. 8 Lutheran parish church in Miskolc (Miskolci Evangélikus Egyházközség templom), Hunyadi János utca 8, e-mail: luther@upcmail.hu. Office hours: Pastoral Office: Tu-F 09:00-12:00. Worship: Su 11:00. This church, the second one on this site after the lightning affected and demolished the former church, was erected between 1817-1820, the tower of its was finished in 1865. Dimensions of its 31m long and 25m wide. Above the main entrance of church is a very beautiful and remarkable balcony. The classy decorated Empire style stone pulpit made in 1820. The altarpiece painted by Bertalan Székely,-who was a one of the greatest representative of Hungarian historical painting, the Christ on the Mount of Olives finished in 1897. 9 St. Anne's Church (Hungarian: Szent Anna-templom,Vöröstemplom, Verestemplom), Szent Anna tér (Located on the nort side of the St. Anna Square.). This is a Roman Catholic parish church. Locally it is often referred to as "Red Church", because of its red roof. The church was built between 1816 and 1823, in late Baroque style with some Neoclassical elements; the altar and the pulpit are late Neoclassical. The first public clock of the city was in the church's tower. The rectangular sanctuary of this two naves church, covered with 'Czech-cap' vault. 10 Catholic parish church (Jesus Heart churh, Hungarian:Martin-Kertváros Plébánia templom, Jézus Szíve plébániatemplom), Miskolc, Martin Károly utca 5 (Martin-Kertváros district about half km south of Tiszai Railway Station), ☎ +36 46 380065, e-mail: plebania.martinkertvaros@gmail.com. Church services at M W F Sa 18:00, Su 11:30. Replacement of a former temporarly chapel (1922) to the local railway workers colony. Built in 1934. A simple late Baroque church in garden district. Interior pulpit and main altar made in Baroque style. It has a nice painted paneled ceiling. Free. 11 The name of the Virgin Mary Catholic Church in Diósgyőr (Hungarian: Szűz Mária neve - Római Katolikus templom), Miskolc, Puskás Tivadar utca 1 (Diósgyőr district, close to Sinva creek, south of II. János Pál pápa square), ☎ +36 46 379595, e-mail: mdplebania@gmail.com. Mass Order: Summer time: M-F 07:00, 18:30; Su 07:00, 08:30, 10:00, 11:30, 18:30. Winter time: M-F 07:00, 17:30. Su 07:00, 08:30, 10:00, 11:30, 17:30. Advent: 06:00; 17:30. The original Gothic reformed church was rebuilt in Baroque style in middle of the 18th century. Of the two cemeteries one is still working today, separated into Lutheran, Roman Catholic and Protestant sections. The first owners were members of St. Paul order (Paulines), but Minorites and Franciscan baptized. The entrance of the church look to the west, almost back to the city. This is due the church was formed to west of the settlement. The church was consecrated in the name of the Virgin Mary, in 1753. The main altarpiece depicting the Virgin Mary with a crown on his head, on the right of its is the baby Jesus who a sphere gives to his mother. The coat of arms of Diosgyor also depicts the image of church's patron saint, The church has three side altar, pulpit and an organ in the balcony. There most valuated piece is a very old carved wooden statue of the Virgin Mary, which can be seen in a glass case, made in the 13th century by the Paulines. On the right side in an alcove, look like a cave, is an other statue of the Virgin Mary ordered by a cantor teacher to gratitude in memory of his children recovery from a serious illness Free. 12 Synagogue (Zsinagóga), Miskolc, Kazinczy utca 7. (Downtown, close to Hösök square and south of the Main Post Office), ☎ +36 46 505044, +36 70 5857616, +36 20 921-7373, fax: +36 46 509954, e-mail: freund@freund.hu. It can't be visited while it is under restoration. Description: The synagogue, built between 1861 and 1863, is an outstanding example of Hungarian Romantic architecture and one of the largest such buildings in Europe. The temple includes both Neo-Romanesque and Romantic elements. This is the only surviving synagogue in the city and the only still-functioning synagogue of Borsod-Abaúj-Zemplén County. Its Kazinczy Street facade has a rose window and narrow Gothic windows. The synagogue has three aisles. The women's balcony is supported by slim iron pillars decorated with Gothic Revival and Neo-Byzantine elements. The wall paintings feature ornamental an Eastern design. The Exhibition Hall consists of two rooms museum that commemorate the history of the Miskolc Jewish community. One room commemorates the events of the Holocaust in Miskolc, and the other shows scenes from everyday Jewish life in Miskolc prior to the murders. 13 Greek Catholic Church (Miskolc-Belvárosi Görög Katolikus Egyházközség és Nagyboldogasszonyról nevezett Püspöki Székesegyház), Miskolc, Búza tér (Right north of the Bus Station), ☎ +36 46 507 111, +36 30 3592166 (Mobil), fax: +36 46 507113, e-mail: pappmiskolc@gmail.com. Rituals: M-F 07:00, 18:00, 18:45. Su 06:30, 07:30, 08:30, 10:00, 18:00, 19:00 (2014). Professional guidance by booking only in Hungarian. The Downtown Greek-Catholic Church was built in eclectic style, in 1912. Nice altarpiece and iconostasis. Admission: free. 14 Diósgyőri Papermill Museum of the Paper Industry (Diósgyőri Papírgyár Papírgyári Múzeuma Papíripari Szakgyűjtemény), Miskolc, Hegyalja utca 203/1 (West of Diosgyor castle, by train stop Papirgyár), ☎ +36 46 530824, fax: +36 46 530890, e-mail: dipa@dipa.hu. May-Sep M-F 10:00-14:00 and Saturday of every month 10:00-14:00. In this case the museum is closed on the following Monday. Guidance in Hungarian only. There are exhibited the historical artefacts of the local company (Diósgyőri Papermill) on two levels. The workshop on the first floor, for preparing hand-made paper, helps you to remember the days of the undertaking working in the course of the manufacture. Admission: Adult/reduced: Ft 350/250. 15 Herman Ottó Museum Exhibition building (Papszer utcai kiállítási épület), Miskolc, Papszer utca 1. (South of Sinva Creek, east of the Protestant Church of Avas), ☎ +36 46 560170, fax: +36 46 555397, e-mail: latogato@hermuz.hu. Tu-Su 09:00-17:00. The richest Conquest cemetery of the Carpathian Basin. A noble of Miskolc in national politics. Endre Szasz collection. 'Ages, photos, cameras' permanent exhibition in the history of photography. Gift shop. Adult Ft 1400, child Ft 700, If you have Miskolc Pass Tourist Card: free. 16 Ottó Herman Museum, Picture Collection (Herman Ottó Múzeum, Képtár), Görgey Artúr utca 28. (Take bus #2, 14, 14H, 22, 35, 38, 44 to stop Népkert), ☎ +36 46 560 170, fax: +36 46 555-397. Tu-Su: 09.00-17.00. is the largest museum of Miskolc. It has more than 600,000 artifacts. Its main focus is on archaeology, mineralogy, arts, history and ethnography. The collection of fine arts located here: shows works of Hungarian artists in the 18th-20th century. Over the museum here is a library and the storerooms are there. The museum named after the famous polyhistor Ottó Herman in 1953. Adult Ft 1400, student Ft 700. If you have Miskolc Pass Tourist Card: free. 17 Pannon-sea Museum (Pannon-tenger Múzeum, Repository of Geological and Natural History and Exhibition Building, Herman Ottó Museum), Görgey Artúr utca 28. (Take bus #2, 14, 14H, 22, 35, 38, 44 to stop Népkert), ☎ +36 46 560170, fax: +36 46 555-397, e-mail: info@pannontenger.hu. Tu-Su 09:00-17:00. Two permanent exhibitions were opened in the “Pannon Sea Museum” in Miskolc on 20 November 2013. The exhibition “On the paths of a primeval forest — The swamp cypress forest of Bükkábrány and its era” tells the visitors about the environment of the 7 million years old swamp cypresses in Bükkábrány in a playful environment. Besides fossils of several prehistoric animals and plants, Rudapithecus fossils representing the beginning of human evolution, mysteries of paleo-magnetism, almost the whole spectrum of raw materials from the Miocene epoch and secrets of volcanic activities in the Pannon Basin await curious visitors. The beautiful pieces of the collection “Minerals of the Carpathians” was selected from the second largest Hungarian mineralogical collection. Our regular and periodical programmes are held in a conference room for 80 persons, in a projector room for 40 persons and a seminar-room for 15 persons and are assisted by a separate museum educational facility. Adult Ft 1400, student Ft 700. If you have Miskolc Pass Tourist Card: free. 18 Telecommunications Museum (Távközlés történeti látványtár - Teletár), Miskolc - Avas, Szentgyörgy u. 23, ☎ +36 46 555391, +36 30 3593539, fax: +36 1 2448190, e-mail: info@postamuzeum.hu. Open: W Sa 10:00-16:00. Located in Miskolc #23 post office. Shows the development of communication in the last over 130 years. old telephones, and telephone exchanges, telegraph, transmission equipment, mobiles (many of them are still working). - Outside public phones and Erste Bank 24-hr ATM. Adult/reduced Ft 750/375, photo/video ticket Ft 400/1250 (2014). 19 Szőnyi István Gallery (Szőnyi István Galéria), Miskolc, Széchenyi utca 21 (Right next to National Theatre of Miskolc), ☎ +36 46 340704. M-F 10:00-18:00, Sa 09:00-13:00. The gallery was named after István Szőnyi (1894-1960), Hungarian painter. The building was built in 1927, and later the famous doctor, Petro Sándor (1907-1976) was acquired. A nationally known, modernly equipped private clinic operated here. He was a private collector and his heritage. Contemporary Fine and Applied Arts exhibits can be seen here. 20 Gallery of Miskolc - Petró House (Miskolci Galéria - Petró-ház), Miskolc, Hunyadi utca 12. (Opposite to the Palace of Music (officially: Béla Bartók Institute of University of Miskolc)), ☎ +36 46 500680, fax: +36 46 500682. M-Th 09:00-16:00, F 09:00-13:00. Visit the permanent exhibition of graphic artist, Lajos Szalay. Art Library. The building was built in 1927, and later the famous doctor, Petro Sándor (1907-1976) was acquired. Here operated a nationally-known, well-equipped modern private clinic. He was also a private collector his collection include local history items, 19th-century art works, and modern Hungarian works of art, miniature, silver, and rug collection. After his death the all heritage received the Herman Otto Museum. free. 21 Gallery of Miskolc - Feledy House (Miskolc Galéria - Feledy-Ház), Miskolc, Deák Ferenc tér 3. 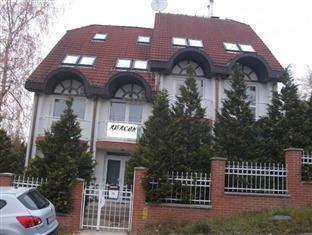 (Close to Downtown Protestant Church), ☎ +36 46 500680, fax: +36 46 500682, e-mail: miskolci.galeria@chello.hu. M-Th 19:00-16:00, but only with appointment. An exhibition hall about Life of Gyula Feledy, a graphic artist. The works of Gyula Feledy and his contemporaries can be see here. Free. 22 Miskolci Theatre Musem (Miskolci Galéria, Színháztörténeti és Színészmúzeum), Miskolc, Dérnyé utca 3 (Center, Part of the National Theatre of Miskolc), ☎ +36 30 6609299, e-mail: muzeumkommunikacio@gmail.com. Sep-May: Tu-Sa 09:00-17:00; Jun-Aug: Tu-Sa 10:00-18:00. The Museum of Theatrical History and Acting located in the National Theatre of Miskolc Classicist style building. This two-story building preserves the remnants of a theatre from 1823. The building served as quarters for generals and a trade school. Guidance: only Hungarian; duration: 45 mins. Services: cloak-room, café, buffet, toilet/WC. Adult/reduced: Ft 600/300. If you have Miskolc Pass Tourist Card: free. 23 Collection of Mining (Bányászati Gyűjtemény), Miskolc, Mexikó-völgy, ☎ +36 46 359905, +36 30 9350789, fax: +36 46 359905. M-F 09:00-13:00. Registration needed.. The Collection of Mining in Miskolc shows the general history of mining technology, and also miner's clothes, blasting tools of it. On-demand functional demostration is available. Free. 24 Library and Collection of Selmec of the University of Miskolc (Selmeci Műemlékkönyvtár - Miskolci Egyetem), Miskolc - Egyetemváros, Egyetem u. (Located in http://www.lib.uni-miskolc.hu/ TU Library, Archives, University Town), ☎ +36 46 565111, fax: +36 46 563489, e-mail: konloss@uni-miskolc.hu. M-Th 09:00-15:00, F 09:00-12:00. The most important museum collections: collection of articles of the university's historical, numismatic collection, photo archive, certificate archive, the mining-themed stamp collection, a collection of miniature books, industrial and technical history items, the works of fine art. Free. 25 Post Gallery (Postakürt Galéria), Miskolc, Kazinczy utca 16. (East 100 m from Minorita Church), ☎ +36 46 345469, +36 20 9795487, fax: +36 1 2681958, e-mail: info@postamuzeum.hu. Opening hours: only by booking. A small exhibition about the post history on the fifth floor of the Directory of Miskolc of Hungarian Post. Adult/reduced Ft 500/250. 26 Gallery of Miskolc - Rákóczi-House (Miskolci Galéria - Rákóczi-ház), Miskolc, Rákóczi utca 2. (West about 100 meters from National Theatre of Miskolc), ☎ +36 46 500 680, fax: +36 46 500 682, e-mail: info@miskolcigaleria.hu. Tu-Sa 09:00-17:00. Contemporary art exhibitions and thematic exhibitions focusing on actual social problems. Museum education and talent management programmes, fine art courses and model drawing studio awaits students and school pupils. The one and only educational museum for contemporary art, the “Big Kunszt” (“Big Deal”) where you may learn about contemporary art and the contextual, visual and technical features of the masterpieces in an unconventional and visitor-friendly way. Services: cloak-room, café, buffet, toilet/WC. Adult/reduced Ft 1000/500. 27 County Hall (Borsod-Abaúj-Zemplén megyei Önkormányzat), Városház tér 1, ☎ +36 46 517700. 28 Avas Lookout Tower (Miskolc-Avas TV Tower, Avas-kilátó). With panorama on the city. This is a 72 metre tall TV tower on the Avas hill in Miskolc. It was built in 1966 in place of a wooden lookout tower. 29 National Theatre of Miskolc (Nemzeti Színház), Déryné utca, ☎ +36 46 516700. M-F 10:00-18:00, Sa 10:00-13:00. Tickets Ft 1100-2000. 30 Castle of Diósgyőr (Diósgyőri vár), Miskolc-Diósgyőr, Vár u. 24 (By public transport: take tram #1 or bus #1 to stop "Diósgyőr VK" then, go to the direction of Felső-Majláth, at the first street turn left and follow the signs, it's a two-minute walk. Parking around the castle: On Nagy Lajos Király Street there is pay parking to cars and buses. Free parking area is on Tapolcarét street to cars and buses.). Apr-Oct: daily 09:00-18:00; Nov-March: daily 09:00-17:00, Closed:Dec 24-26. Dec 31-Jan 1.. This is a partly restored medieval castle, surrounded by the modern blocks of flats. In 2014, some part of the castle was rebuilt, other were renovated. The reconstructed rooms are furnished with mediaeval-style furniture. Main parts: "Knight’s Hall", include two naves with three columns in the middle, and with its 380 sq meters area, one of the largest rooms of medieval castles in Central Europe. "The Chapel" is a two-storied chapel with octagonal apse. It's the central room of the east wing, and a hallowed place. "The towers" In order to enhance the romantic impression, the southwestern tower can be seen in its shape from the 1800s, when it was ruined by a bolt. The upstairs rooms of the other three towers host exhibitions, and lookouts on the roofs. "Palace Wings": Three of the four one-storied palace wings remained (rebuild): the northern with the Knight’s Hall, the eastern with the chapel and the kings’residence, and the southern with the queens’ rooms. These rooms serve visitors and interactive spaces that present the medieval castle life and different crafts and trades. "'Wine cellar", consists of two rooms and an interior space of a floor height, can be reached from the West Wing. "Exhibitions" of the castle: castle history exhibition: gives you a taste of archaeological findings in the area of a castle and the old Pauline monastery, medieval weapons and here located the biggest Wax Museum of Central Europe (greatest number of figures) shows the everyday life in Diósgyőr in the Middle Ages. "Lower Castle" contains a functional copy of a 16th-century cannon, which is used at big events. Garden of Queens a place where herbs and spices were grown, some type of them can be find still today. "Courtyard": The main entrance of the upper castle is the northern gate, that is reached through the royal stairs. The northeastern and southwestern decorated stairway leads to the upstairs loggia decorated with stone carvings. "Tournament Field" provides a venue for events as to equestrian shows and to host different events and concerts. Nearby is the "Market Place" of the Castle in front of the Tournament Field. The Market Place offering the general services, it is functioning as a real market place for artisans and merchants and holding regularly fairs. With guided tours: adult Ft 1500, student/senior Ft 1200. Without guided tours: adult with 2 children or between 18-26 Ft 750, student/senior Ft 600. Under 6 and over 70 free. If you have Miskolc Pass Tourist Card, admisson is free..
31 Town Hall (Miskolc Megyei Jogú Város Polgármesteri Hivatal), Városház tér 8 (Center), ☎ +36 46 512700. Getting there: take bus #2 on weekdays (30 min by bus from 'Buza ter'), and bus #20 on weekends and go to the final destination, 200 m walk from there, you will reach the Cave Bath. 32 Miskolctapolca Cave Bath (Miskolctapolca Barlangfürdő), Pazár István sétány 1., ☎ +36 46 560 030. Daily 09:00-19:00. A unique experience to swim (well, you can't really swim there), splash, play and walk around in a large cave system, which has water temperatures from 20-36 °C (thermal water), and has warm, wet air inside even in the winter. Its curative effect is due to the karst water and the unique climate. This is a must do if you are in Miskolc. The caves are around 150 m long but naturally nothing is straight, and it's all quite dark (it's a cave, after all). The bath also has pools outside the cave: 3 children's pools, pond pool, spa experience, mussel pool, swimming pool; Indoor pools: two thermal pools (33-35°C), roman Hall (32°C), stars room (32°C), old cave pool (29-30°C), hall bath (29-30°C). Sauna and solarium park: finnish saunas (4), infra saunas (4), steam room (1), solariums (2). All day ticket adult Ft 3800, student/senio Ft 2850, 4-hour-ticket adult Ft 2700, student/senior Ft 2150. Under 4 free. Last minute ticket after 17:00: Ft 1850. If you have Miskolc Pass Tourist Card, admission is free. The Cave Bath is surrounded by a large park which has an artificial lake where you can row boats. Akropolis is an adventure park for kids and grown up. 33 Aggtelek (Meaning "Old plot" in Hungarian) (There is a direct bus from Miskolc which takes about two hours. It leaves at 09:45 everyday day and a ticket costs Ft 1,100. You need to change at Kazincbarcika (Ft 460), from where a bus every 30 minutes. Hitchhiking is also a good option since it is probably going to take you half the time as by bus. The best bet is road 26 towards Kazinc first and then either take the bus or continue to Miskolc.). This village together with Jósvafő are famous for their huge and beautiful karst cave system. Part of the UNESCO World Heritage List. This is a complex of huge karst plains and plateaus. There are a few caves you can visit with different route for each of them. Opening hours and prices depend on the season and the long of tour. There is a tourist information center next to the main cave entrance (email: aggtelek@touristinform.hu, Tel: +36 48 503 000). Sleep: there is a nice camp site with wooden houses or places for your tent. Ask availability at the visitor centre opposite the cave entrance. 1 Miskolc Ice Hall (Hungarian: Miksolci Jégcsarnok), Miskolc, Görgey A. utca 19. (Located in the Népkert ("People's Garden") public park), ☎ +36 46 506 442. Daily (depend of events). A multi-purpose indoor arena in Miskolc. It is primarily used for ice sports and is the home arena of Hungarian top division ice hockey club Miskolci JJSE. Part of the Miskolc Leisure Centre (Miskolc Városi Szabadidőközpont)- Events, concerts, ballets, hockey matches, figure skating competitions. Services: Skate sharpening and rental Public skating Ft 1000/600 (2014). 2 Wine Tasting at Avas Cellars Aranykorona Hotel, Restaurant and Cellar (Avas Pince), Kisavas, Első sor 19-20., ☎ +36 46 506 882. every Friday. Wine tasting and cellar visiting program at Avas hill. location:Hotel, Étterem és "Sétáló Pince". Every Friday you can discover the secret at the "stomach" of Avas Hill. Here is a wonderful, long historical cellar, and you can take part in a guided tour and a complex wine tatsing program. Duration: about 2 hours Ft 2500 (2014). 3 National Theatre of Miskolc, Address: Déryné street 1 (Center), ☎ +36 46 516700. The main theatre of Miskolc, and the oldest theatre company of Hungary. Its current Classicist and Neo-baroquebuilding built between 1847–1857.The building was reconstructed in 1880, and extending with a fire-watch tower. This is not only theatrical plays, but also to events like the International Opera Festival. Ticket office (Hu:Jegyiroda): Miskolc, Széchenyi István út 21. 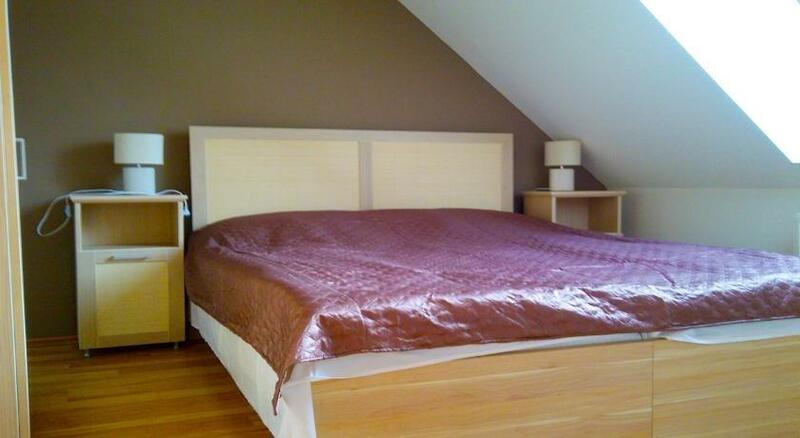 (next door toward west) Phone: (+36) 46 516735. +36 46 516736, Fax: +36 46 516734, jegyiroda@mnsz.eu. Also here can you find a small theatre museum. 4 Palace of Music (Zenepalota), Bartók square (Center, close to Town Hall, west of its). It is the building of the Béla Bartók Secondary School and the Béla Bartók Music Institute a faculty of the University of Miskolc. The Palace was designed in Neo-baroque style and was built between 1926 and 1927.The concert hall still preserves beautiful frescoes and gilded stuccos. It has a large concert hall where concerts are regularly held. 5 Miskolc Zoo (Miskolci Állatkert és Kultúrpark), Csanyikvölgy (West ten km from center, at the last stop of bus number 1), ☎ +36 46 332121. 6 Oct to 15 Mar: 09:00-18:00, Mar 14 to Oct 7: 09:00-16:00. You have to climb up to the hilltop. Originally it was a wildlife park showing the wild animals of the surrounding Bükk mountains. Today not only local wild animals can be seen here, but also exotic animals like camels, monkeys, parrots, tiger, leopard. The zoo has about 700 animals of 130 different species. Not so many exotic, but many domestic and hungarian animals. Children usually like it. Ft 1200 for adults, Ft 900 for children, Ft 100 for children under 3 (2014). If you have Miskolc Pass tourist card, admission is free. Queen Spring 22 May. Renaissance season opening in the castle of Diosgyor. Bartók + in June is an international opera festival with opera and ballet performances at the theatre and additional localities presented by international guest artists and companies. Medieval commonalty joust in the court of king Louis the great. 14–15 August in the castle of Diosgyor. CineFest is a week-long international film festival in September, organized for the 7th consecutive year in 2010. Expect somewhat obscure but very interesting feature and documentary films, rollercoaster sessions of half-amateur short films of inapprehensible quality, and a haphazard but invariably watchworthy selection of short animations, almost all with English subtitles; also workshops and talks with foreign guests. 6 Avasi Borangolás (open day of winecellars 11 May), Avas Hill (Centre of Miskolc), e-mail: miskolcipince@yahoo.com. 12:00-20:00. More than 900 wine cellars are on the Avas hill in the centre of Miskolc. On the nearest Saturday to 11 May (Day of Miskolc) are more than 30-40 wine cellars open for visitors. Lot of eateries and wine-bibbing on the small roads. Nice panorama to the centre of the city. Free. 1 Aldi discount supermarket, Kiss Ernő utca 13/c (NW 1.5 km). 3 Penny Market discount supermarket, Andrassy Street, 61 (W 3 km). M-Sa 07:00-20:00, Su 07:00-20:00. 4 Real discount supermarket, Corvin utca 11 (Downtown). 5 Real discount supermarket, Árpád út 2 (4 km NW). 6 SPAR supermarket, Király Street 7/a. 7 Tesco supermarket, Arany János Square 1. Auchan South hypermarket, József Attila út 87. Auchan North hypermarket, Pesti út 7. InterSpar hypermarket, Bajcsy-Zs. utca 2-4..
Tesco 'Avas' hypermarket, Mésztelepi Street 1 / a..
Tesco 'Szentpéteri kapu' hypermarket, Szentpéteri kapu 103. 8 Miskolc Plaza, Szentpáli u 2-6 (Half km west of Miskolc Bus Station behind the Centrum supermarket and department store), ☎ +36 46 503 000, e-mail: miskolcplaza@segece.hu. Restaurants, cafes daily 10:00-21:00, stores M-Sa 09:00-20:00, Su 10:00-19:00. The mall complex consists of three buildings connected by bridges. Building A is a two-storey building, hosting most of the shops around a large central hall. Building B hosts the cinema and some smaller shops, its ground storey is occupied by a car park and five smaller shops opening to the street. Building C is a three storey car park. There is a large supermarket and lots of different shops. Bowling. Gambling Hall. Six catering units located here: fast food restaurant, snack bars, cafe-restaurants. Cinema ticket from Ft 1090 (2014). Park Center shopping park, Pesti út 9. STOP.SHOP shopping park, Szentpéteri kapu 80 / a. Two smaller malls are Batóház and Metropol, opposite to Centrum. 1 Falánk Fanny Pastry Shop (Falánk Fanny Cukrászda), Szemere u. 3. 2 Kisgergely Confectionery (Kisgergely Cukrászda), Diósgyőr, Nagy Lajos király utca 9-13 (W 6 km). There are many smaller shops, Chinese restaurants with cheap food. Julia Chinese restaurant, Buza ter (behind the Marketplace building). Menus from Ft 490.
cheap Chinese restaurant (opposite Szinvapark). Fozelekbars (Főzelék Bár), Szivapark Food Court. Hungarian food. Ft 400-500. 3 Calypso Tavern, Városház tér 7 (Center). 4 Dolce Vita Restaurant and Pizzeria (Dolce Vita Étterem és Pizzéria). 5 Palacsintaház Restaurant (Palacsintaház Étterem), Mélyvölgy u. 212. 6 Halásztanya Restaurant (Halásztanya Étterem), Mélyvölgy utca 15. 7 Kemencés Tavern (Kemencés Kisvendéglő), Miskolctapolca, Csabai utca (SW). 8 Kis-Anna Fishermen’s Garden (Kis Anna Halászkert), Miskolctapolca, Görömbölyi u. 38. (SW). 9 Matróz grill Restaurant, Széchenyi utca 68..
10 Tábor I. Pizzeria (Pizza Tábor I. ), Városház tér (Center), ☎ +36 46 355 444. 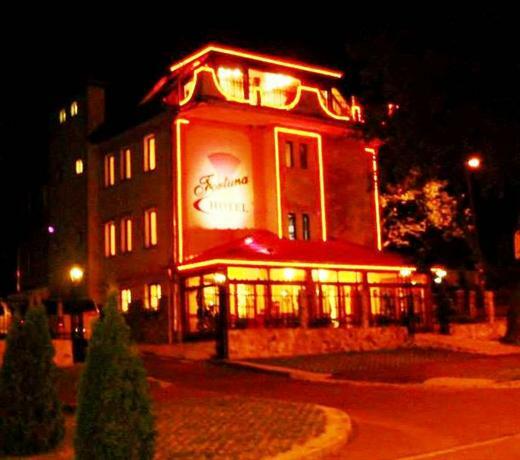 Tusculanum restaurant. In the summer, you can sit in the restaurant's garden. Food is pretty good (don't miss the "Grandmother's Meat Soup", and don't expect to be able to eat much more after you are done). Service varies widely with the waiter who serves you. Enjoy wine in some of the restaurants in Avas hill. 1 Padlás Jazztaurant, Győri kapu, 74?. 2 Kortyolda Restaurant and Brewery (Kortyolda Étterem és Sörfőzde), Széchenyi u. 26 (Near to padlock bridge). Since 2007 they create an own beer, this beer was called Korty (now we also mention it as Corvinus Rex). This contains: the famous Tokaji aszú wine, the malt from the Hernád Valley, combined with karst water from Miskolc. This is a special beer, with unique colour and taste. As it contains aszú wine, its alcohol capacity is higher than a simple beer's capacity, also offer other home-made beers like brown and lager beer, furthermore you can drink some seasonal beers like IPA (Indian Pale Ale), ginger, chestnut, apple and Paracelsus beer. 4 Café du Boucher - Belgian Beer Café, Mikes K. 2. 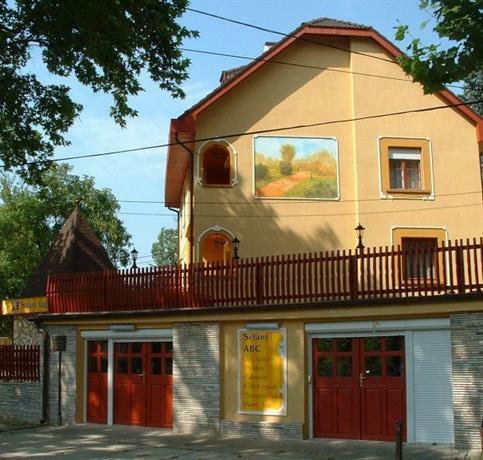 5 Avasi Wine Museum and Wine Restaurant (Avasi Bormúzeum és Borvendéglő), Latabár sor 388 (West 2 km). 6 Déryné Pub (Déryné Presszó), Déryné utca. 7 Grizzly Music Pub, Városház tér. Cafe du Boucher. The Belgian Beer Cafe is an excellent eatery with many different Belgian Beers and Cigars. Food is excellent and English is spoken. Make sure you leave a good tip so that the bell is rung as you leave the place. 1 Hungaria Pansion and Restaurant (Hungária Panzió és Étterem), Csabai Street 7 (Downtown), ☎ +36 46 432884, fax: +36 46 432884. Check-in: 13:00, check-out: 11:00. Non-smoking rooms, family rooms, heating, 24-hour front desk, barber/beauty shop, restaurant (a la carte), solarium, massage, children's playground, garden, WiFi, parking free. Double Ft 10,000. 2 Hotel Lido, Kiss József Street 4 (Miskolc-Tapolca), ☎ +36 46 422330, fax: +36 46 422231, e-mail: harom.g@chello.hu. Single/double/triple/quad (shower) Ft 3000/4200/5400/6600; apartment double/quad Ft 8 000/13 000; suite Ft 11 000/13 000; all price include local resort tax. 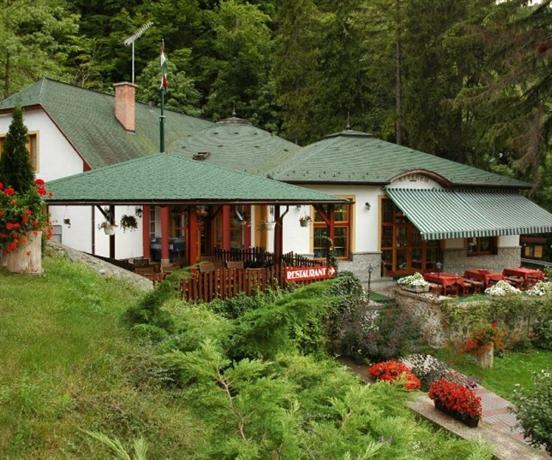 3 Hotel Kolibri, Fecske u. 15-17. (Downtown), ☎ +36 46 555-010, fax: +36 46 555017, e-mail: hotel@hotelkolibri.hu. Check-in: 14:00, check-out: 10:00. Double Ft 14 400, superior double room Ft 16 600, superior room with 3 beds 18 500, apartment for 2 people Ft 19 500, one room apartment for 3 people Ft 22 200, one room apartment for 4 people Ft 24 500, suite Ft 27 200 including local tax, main season prices (2014). 4 Hotel Bástya (Miskolctapolca Bástya Wellness Hotel), Miskolctapolcai road, 1, ☎ +36 46 422 100. Three-star section standard single/double Ft 13 000/24 000, family Ft 17 000/30 000; four-star unit superior Ft 16 000/29 000, family Ft 19 000/35 000. 5 Zenit Guesthouse (Zenit Panzió), Miskolctapolcai út 25 (Downtown), ☎ +36 46 561561, +36 46 561560, e-mail: info@zenitpanzio.hu. Double/triple/quad Ft 14 000/18 000/24 000. 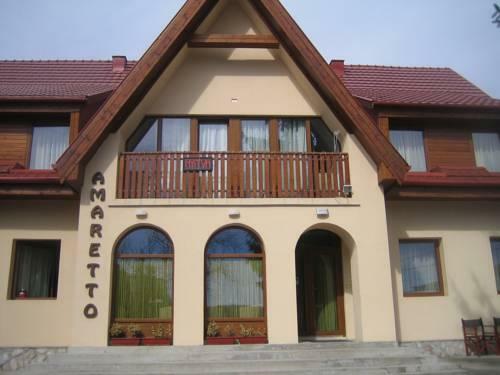 6 Hotel Anna, Miskolctapolcai út 7, ☎ +36 46 793866, +36 30 2187272, fax: +36 46 793-870, e-mail: hotelannainfo@gmail.com. 11 rooms, 2 apts, 3 suites. Double/triple/quad Ft 9000/13 000/15 000-16 000. 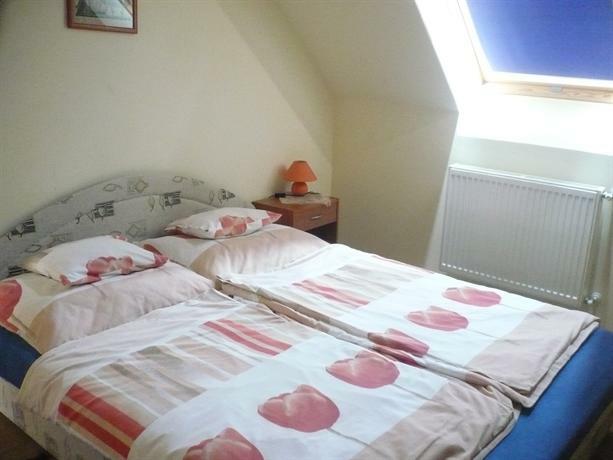 City Hotel Miskolc (1 km of downtown, few minute by bus. 15 minutes walk from the main high street). A nice modern hotel in Miskolc. The staff are friendly and speak English. €60-120 per room. Hotel Old Miskolcz (Öreg Miskolcz Szálloda) (in the heart of the historic downtown). With its art deco style fits in the surrounding buildings radiating the atmosphere of the early 20th century. Levay Villa Pension (Lévay-Villa) (close to the Népkert-Public Garden, ~1 km from the main street ?). The three-star Pension building was built in a green belt garden suburb in 1916, according to the architectural plans of Josef Seiler, the master-builder from Vienna. Very close to City Hotel. English is spoken well. A good friendly hotel. Varkert (Várkert Panzió), Diósgyőr (close to the Castle, from downtown is about 20 minutes by bus or tram.). 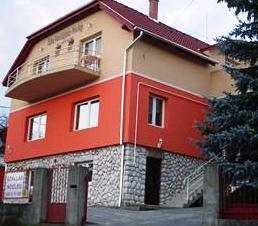 Kikelet Club Hotel, Miskolctapolca (0.5km to Cave Bath). This 3-star hotel is waiting those who wish to relax and refresh by the recently excavated pools and sterilized air. Near the cave bath, a boating lake and parks contribute to the entertainment possibilities. 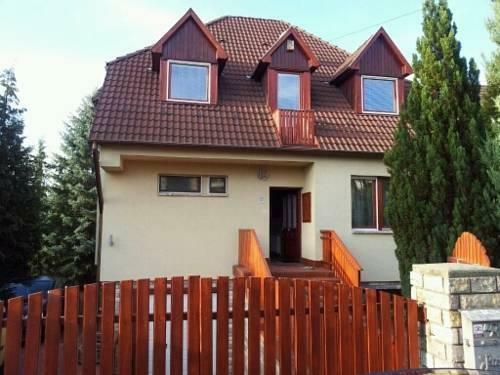 2 Post Office (Miskolc 1 posta), Kazinczy Ferenc utca 16, ☎ +36 46 511510. There are free Wi-Fi hotspots at Heros Square and Szinva Terrace as well as at some other places like Szinvapark and Miskolc Plaza (Mall) You can use free Wi-Fi on the new trams, too. Lillafüred (W 15 km) — there's a narrow gauge train to this nice village in Bükk mountains sitting in a valley by Hámori lake, where you can visit several caves. Sárospatak — Rakoczi Castle, is the highlight here. Sátoraljaújhely - the northeastermost town of Hungary. A splitted town eastern half of its in Slovakia.